Cardiovascular deaths around the world, such as heart attacks and strokes, peak in January. Why this is the case has baffled scientists for some time, but new evidence is starting to unravel the mystery. Scientists initially thought it had something to do with the cold, but this proved to be a false start. Researchers at the University of Southern California examined deaths from heart attacks between 1985 and 1996 in Los Angeles, a city with a mild winter and a daily minimum temperature that is relatively constant throughout the year. They found a seasonal variation in heart attacks, with a third more deaths occurring in January. The researchers also analysed 1.7m death certificates (2005 to 2008) from seven US locations that ranged from hot to cold. Again they found a similar pattern of cardiac mortality including heart attacks in these different locations with a peak in January. These results chime with other studies conducted across the globe, including the UK, which uncovered a winter peak in deaths from cardiovascular disease. Researchers have also considered air pollution, and here they seem to be on firmer ground. There is a seasonal rhythm to air pollution. Nitrogen dioxide levels – a key pollutant in causing premature deaths in Britain, for example, are at their highest in January in the large cities. Oxford Street in London is reported to be the most polluted street in the world for nitrogen dioxide. In fact, London is so polluted that in just the first seven days of 2015 and 2016, London already breached its legal limit on air pollution for the whole of that year. Even short-term exposure to pollutants, from diesel and petrol fumes, is associated with increased deaths from heart attacks and strokes. Pollutants enter the bloodstream, via the lungs, where they initiate an inflammatory response. This can lead to blood clots in the arteries – a risk factor for heart attacks and strokes. Another important trigger for heart attacks is infection. Infections are high during winter and there is a known link between the flu virus and cardiovascular disease. The flu virus affects inflammatory and blood-clotting pathways, which can cause fatty deposits on the artery wall (plaque) to break loose, leading to coronary artery blockage – the main cause of heart attacks. 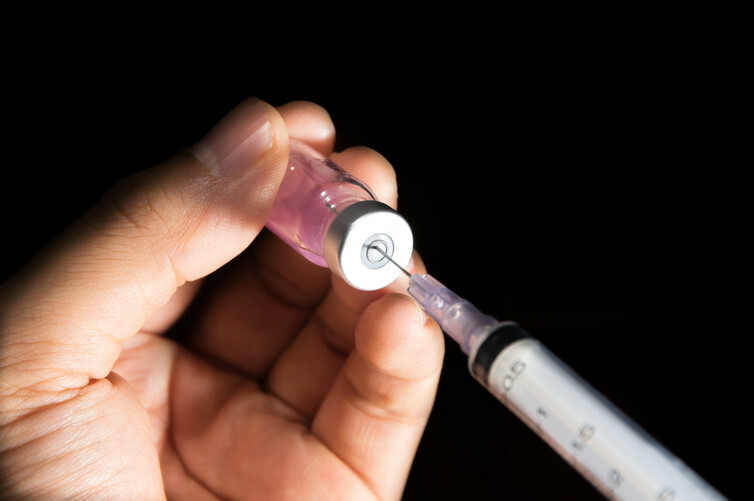 The flu vaccine is associated with reduced hospitalisation and death in heart attacks and stroke. A five-year US$21m clinical trial began this year to test the effect of a high-dose flu vaccine (four-times the normal dose) to combat cardiac deaths. Other risk factors that are also seasonal include high cholesterol, high blood pressure and low vitamin D levels. Vitamin D deficiency is associated with increased incidence and risk of heart attacks. Combine these with the previously mentioned risk factors for coronary death (pollution and flu), and you have a recipe for disaster. It turns out these circulating risk factors not only have seasonal variations, but daily ones too. Research shows that they are at high levels in the morning and low in the evening. So, not only are we more susceptible to heart attacks in January but there is also a higher incidence of heart attacks between 6am and noon. Almost every cell in our body has a group of interacting genes that act as a clock. These “circadian clocks” help to regulate biological processes, including clotting and inflammation. They ensure that our bodies follow a 24-hour rhythm and adapt to changes in our environment. Disruption of these internal timing mechanisms can lead to cardiac disorders. Indeed, a study showed that the Monday after the clocks go forward by one hour (daylight savings) there is a 24% increase in the numbers of heart attacks compared with any other Mondays of the year. Lack of sleep can also increase the risk of strokes and heart attacks. Disrupting the circadian rhythms and sleep in the days after a heart attack can also hinder recovery. So what do daily biological rhythms have to do with cardiovascular deaths in winter? Researchers at the JDRF/Wellcome Trust Diabetes and Inflammation Laboratory examined blood and fat-tissue samples from 16,000 people living in the UK, US, Iceland, Australia and The Gambia. They found almost a quarter of all our genes differ in activity according to the time of year, with some more active in winter than summer. The study revealed that numerous genes involved in regulating our immune system are seasonal. In other words, they express (make) proteins at different rates, depending on the season. One of these genes is ARNTL, an important circadian-clock gene that suppresses inflammation. ARNTL was found to be least active in January, which may contribute to the higher levels of inflammation. What all this research is showing us is that January presents a “chronorisk” – where several risk factors, when occurring in the same time period, can be lethal. In the case of coronary deaths, the chronorisk is January. So in addition to wearing a thicker coat in January, make sure you get some decent hours of sleep, top up your vitamin D and stay away from heavy traffic and busy high streets; an easy task then during the busiest period of the year.